Democratic Rep. Alexandria Ocasio-Cortez came to Rep. Ilhan Omar’s defense Tuesday after the Democratic lawmaker came under fire from both the left and right for her recent anti-Semitic comments, saying she was “proud” of her colleague. “Unlike this President, Rep. @IlhanMN demonstrated a capacity to acknowledge pain & apologize, use the opportunity to learn abt history of antisemitism,+grow from it while clarifying her stance. I’m also inspired by Jewish leadership who brought her in, not push her out, to heal,” she tweeted. Omar was reprimanded by Democratic leadership for suggesting Republican support for Israel was "all about the Benjamins." She followed up by accusing AIPAC of paying politicians to be pro-Israel. “We are and will always be strong supporters of Israel in Congress because we understand that our support is based on shared values and strategic interests. Legitimate criticism of Israel’s policies is protected by the values of free speech and democratic debate that the United States and Israel share," Speaker Nancy Pelosi, Majority Leader Steny Hoyer, Majority Whip James E. Clyburn, Assistant Speaker Ben Ray Luján, Caucus Chairman Hakeem Jeffries and Caucus Vice Chair Katherine Clark said in a statement. 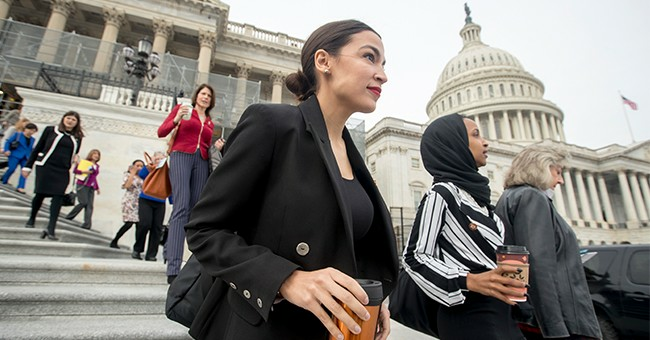 "But Congresswoman Omar’s use of anti-Semitic tropes and prejudicial accusations about Israel’s supporters is deeply offensive. We condemn these remarks and we call upon Congresswoman Omar to immediately apologize for these hurtful comments." She ended up issuing an apology that was criticized by many, including President Trump, for not being "adequate."